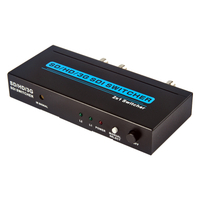 HDMI TO SD/HD/ 3G SDI 1x4 SPLITTER - Buy HDMI TO SD/HD/ 3G SDI SPLITTER, SD/HD/ 3G SDI SPLITTER Product on Shenzhen Zenhon Technology Co.,Ltd. 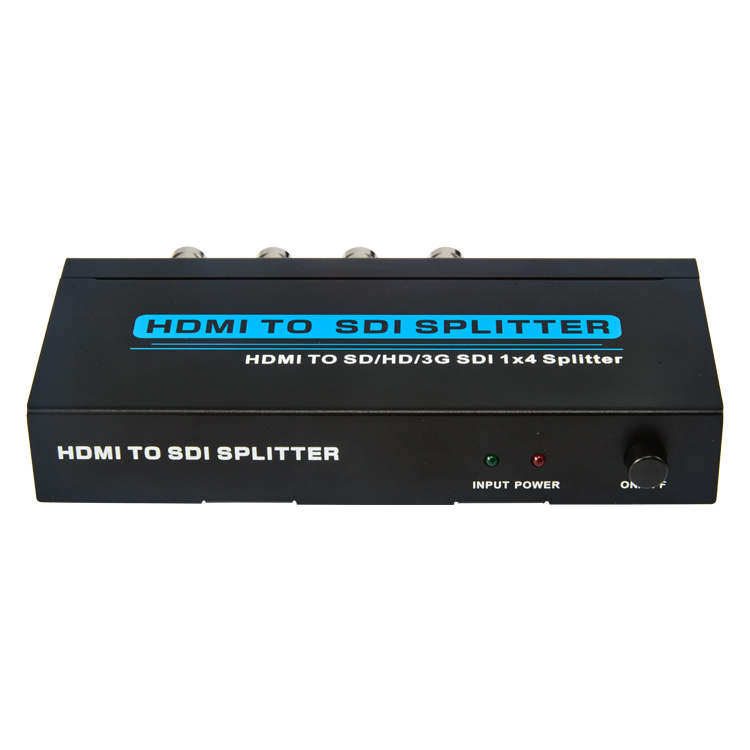 HDMI TO SDI 1×4 SDI splitter distributes allows 1 HDMI video source to 4 SDI/HD-SDI/3G-SDI displays simultaneously. This product built-in automatic identification and compatible with SD-SDI, HD-SDI, 3G-SDI all format of SDI signal. It is the support 2.97Gbps bandwidth, and supports lossless transmission over long distances. 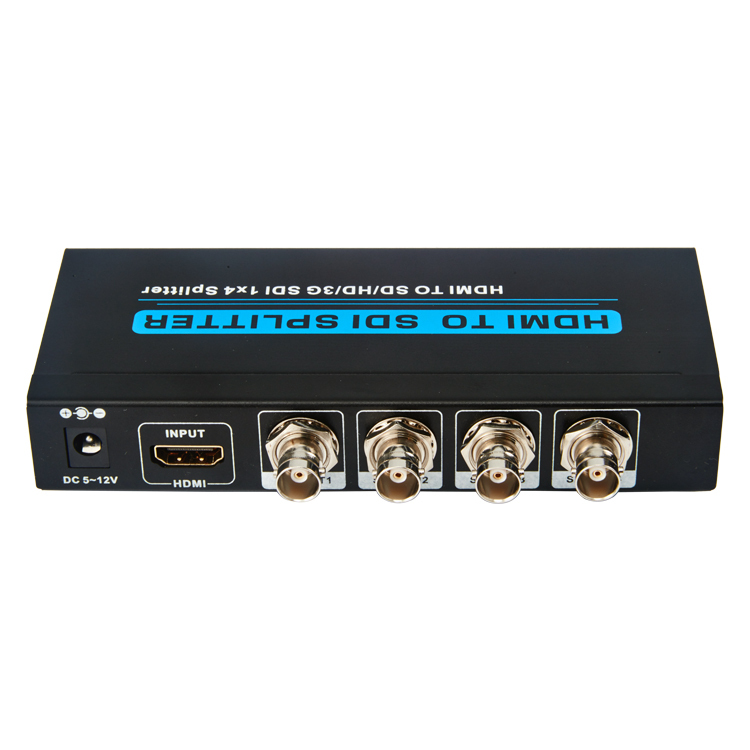 1 HDMI input signal split to 4 SDI sink devices. 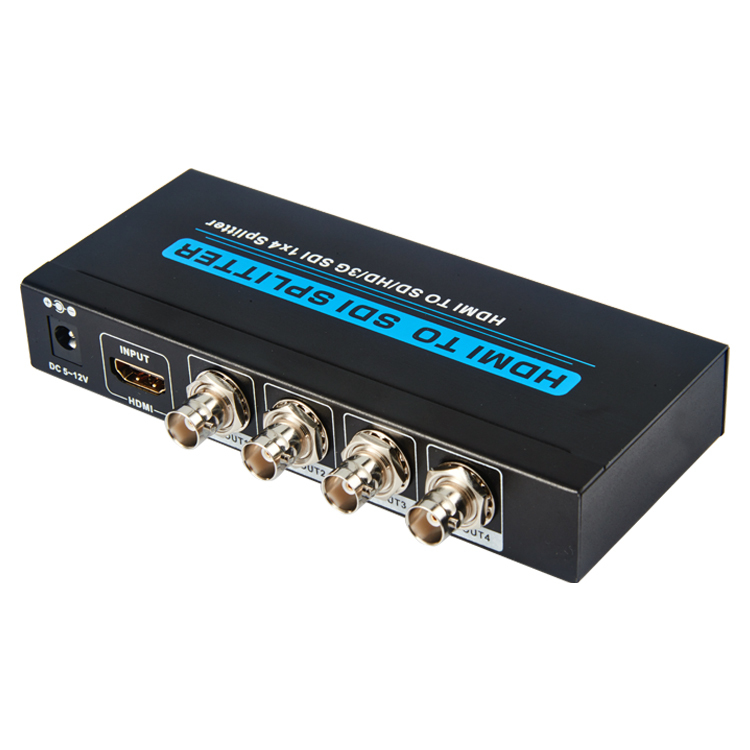 4.Supports HDMI input timings: 480i@59.94, 576i, 720p@50/59.94/60, 1080i@50/59.94/60,1080p@23.98/24/25/29.97/30/50/59.94/60. 5.Supports SD-SDI(270Mb/s), HD-SDI(1.485Gb/s), 3G-SDI(2.97Gb/s) video format. 7.Built-in cable equilibrium, clock recovery and drive. 8.Supports resolutions up to 1920x1080@60Hz. 9.Supports signal input and output distances of up to 300m for SD signals, 200m for HD signals and 100m for 3G signals. 10.Supports 5-12V wide voltage input. 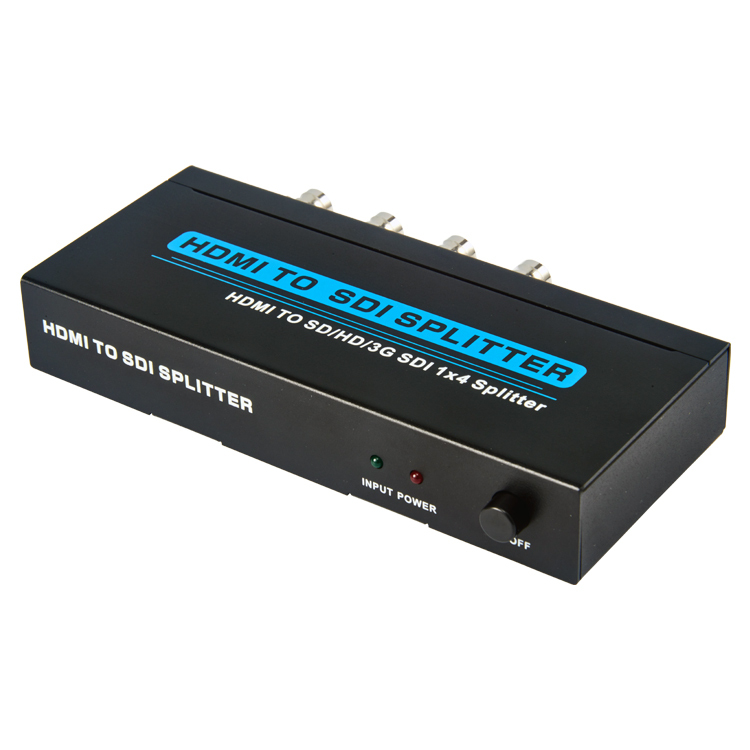 3.01 Connect the HDMI Cable between HDMI signal source and HDMI INPUT of Splitter. 3.02 Connect the Coaxial Cable between SDI Splitter output and SDI display. 3.03 Connect the power adapter between splitter and outlet. 3.04 Open the power supply of HDMI signal source and the display. Choose corresponding input ports, then it works.